Season’s greetings, all! Throughout the land, inside halls, outside walls, trees, and firesides are being festooned with strings and strings of bright decoration and a twinkling tornado of Christmas cheer. There are some that embrace ‘Christmas every day, all year through’, there are those that rummage in the attic as soon as October’s in, through to the last-minuters, scrambling Operation Decoration a couple of days before the day itself. Which are you? 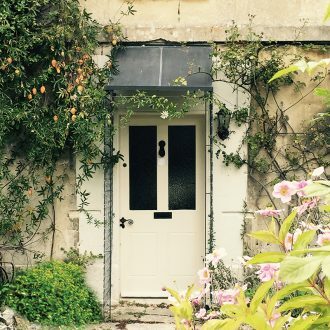 If your front door is still in the dark and damp department, listen up! When festive revellers and carol singers come calling, be sure to have created a warm welcome for them right on your doorstep. Adorning doorways with fairy lights and suspending Christmas lanterns invitingly lights the way for visitors seeking your place out in the wintry gloom. Need a more effective framework for that warm welcome? Garden Requisites’ metal porches are door canopies with sides that extend down to the ground, offering a welcoming, sheltered space that adds character to heritage and modern properties alike. That bountiful, beautiful door wreath, fashioned in the cheery wreath-making workshop, will need protecting from the elements. Hang it proudly with the knowledge that your doorway will be forever defended from the winter rain and snow by a long-lasting, zinc galvanised steel porch. Hanging mistletoe on high will also add a lovely layer of ancient tradition as well as perplexing the postie! Along with the twining of pretty fairy lights round the metal porch columns or pillars and through the side lattice work, additional lighting can also feature on adjacent wirework trellis wall panels. To complete this super seasonal scene, plant up mini Christmas trees in planters and decorate them with outdoor led lights. Don’t forget winter wildlife too. Putting in a porch perch and hanging a bird feeder will make for great nature watching near the house. Step this way to our latest Pinterest board for plenty more visual festive porch ideas. Garden Requisites porches are made to last for many lifetimes, handcrafted by John and the workshop team. We have standard sizes and designs but, as each porch is made to order, we can certainly work with bespoke dimensions and awkward spaces. Our steel porches are delivered in three pieces, easily assembled, and can be coated in a variety of finishes. As always, please do give Hilary and the ordering team a call to discuss your requirements. No porch to deck yet? Then give yourself and your doorway a very special gift for next year!